Zero emissions and substantial savings in operating costs - wherever a power supply is available, electric portable compressors are a worthwhile alternative to conventional models. 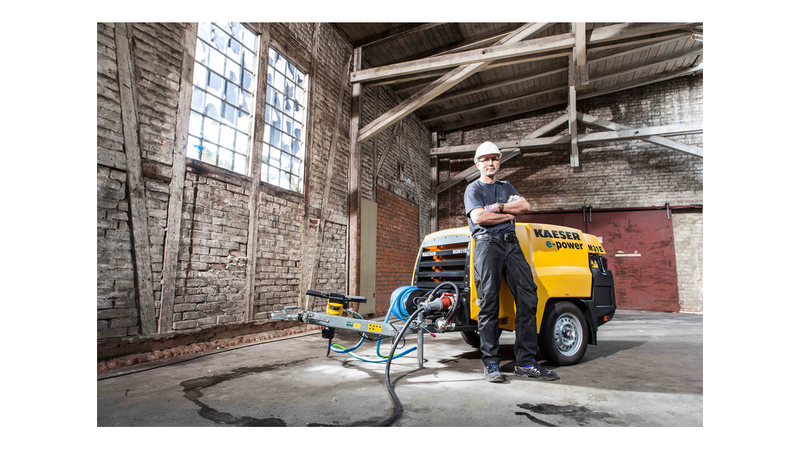 From large building projects to city-centre sites or indoor operations - emission-free electric-powered portable compressors are exceptionally quiet and are significantly easier on the wallet than diesel units. Kaeser is now adding electric versions, powered by motors rated at 15-25 kW, to its highly successful family of Mobilair M27, M31 and M50 compressors. Flow rates range between 2 and 5 m³/min for pressures from 7 to 14 bar. 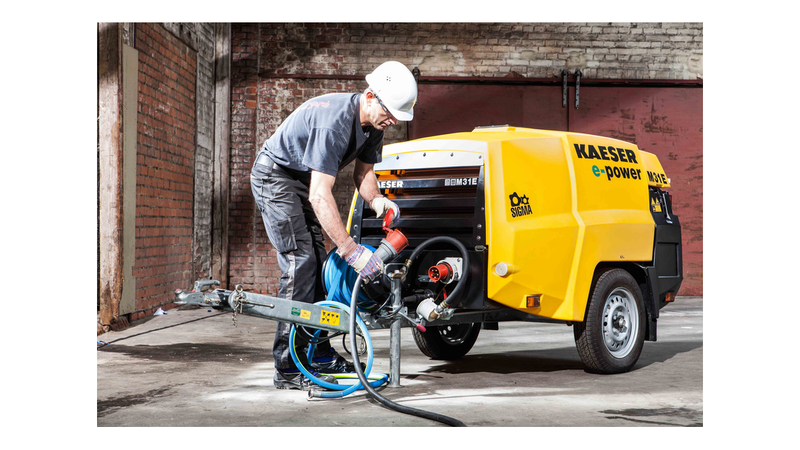 The electric portable compressors are equipped as standard with the advanced Sigma Control Smart controller and Kaeser`s patented Anti-Frost Control. The Sigma Control Smart makes set-up and operation - such as pressure adjustments - quick and simple with an easy-to-read colour display, and the Anti-Frost Control protects tools from frost and corrosion.